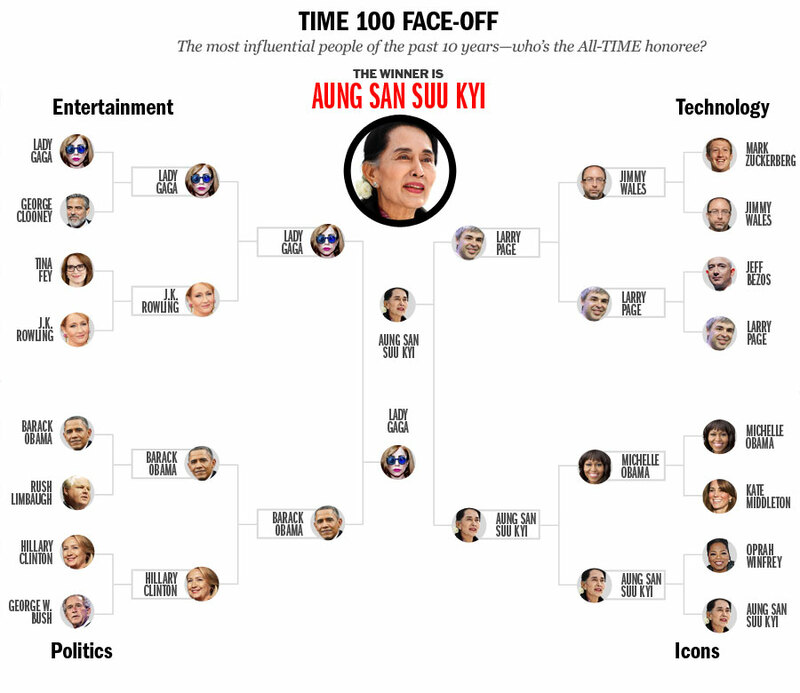 Face-Off: Who’s the Most Influential Icon? To commemorate the 10th edition of the TIME 100, we're asking you to weigh in on which honorees from previous years have had the most impact on our world over the last decade. Who's the Most Influential Icon? Vote Now!